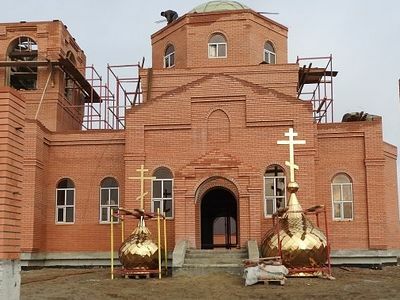 “We build churches and create monasteries … because the people demand it,” Met. Hilarion (Alfeyev) affirmed. 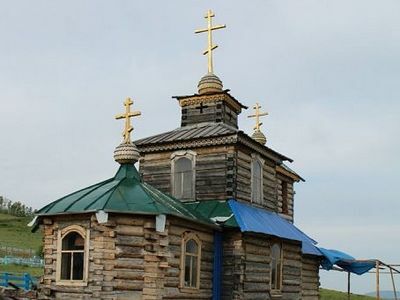 According to available statistics, an average of three churches a day are opened in the Russian Orthodox Church, and if construction continues at such a pace, the number of churches in Russia will double within 25-30 years, reaching pre-revolutionary levels, His Eminence Metropolitan Hilarion (Alfeyev) of Volokolamsk, the chairman of the Synodal Department for External Church Relations, recently stated on the television program “The Church and the World,” reports RIA-Novosti. “Over the past nearly 30 years, we have built more than 30,000 churches, that is, over the course of this period, we have built or restored from ruin 1,000 churches a year, or three churches a day,” Met. Hilarion stated. This statistic applies to the entire Russian Orthodox Church, on the territory of Russia, Ukraine, Belarus, Moldova, Kazakhstan and other Central Asian Republics, the Baltic States, and the farther diaspora, including the Russian Orthodox Church Outside of Russia, Vladyka added. “We now have about 900 churches in 60 countries,” he said. Therefore, the Russian Church currently has about 40,000 churches. 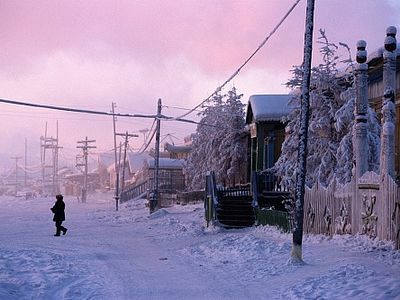 “At this rate, in 30 years we will have 70 or 80,000 churches,” the Volokolamsk prelate continued, adding that there are now about 900 active monasteries in the Russian Church, whereas there were 1,000 before the revolution. “But we build churches and create monasteries not to catch up to some number, and not to create an impressive statistic, but because the people demand it,” Met. Hilarion stated, highlighting the significance of so many churches and monasteries. First there appears a community, often serving in some kind of trailer, Met. Hilarion added, and only then do they begin to raise funds for a church. “Therefore, I think it’s totally useless to try to scare people, saying the churches will be empty,” His Eminence concluded. 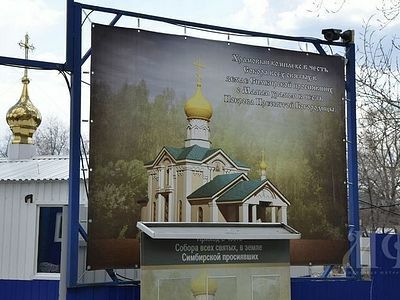 As recently reported 24 churches were built or rebuilt over the past year in Moscow alone, bringing the total number of parishes in the capital to 1,154. 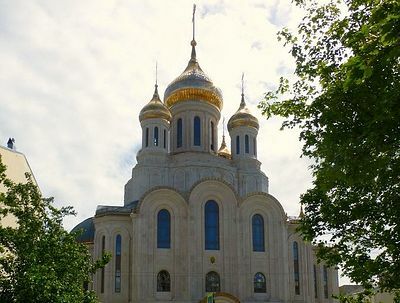 There is an ongoing program to open 200 churches in Moscow over the course of several years. St. Matrona of Moscow is one of the most venerated saints of the Russian Orthodox Church. She was born blind and from childhood had the gift of prophecy, spiritual vision, and healing. 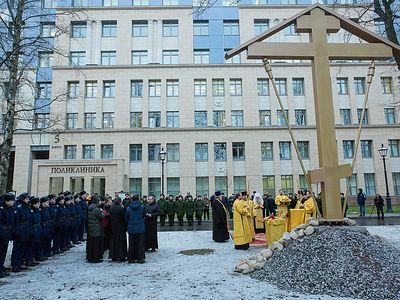 Today, thousands of people come to venerate her relics at Moscow's Protection Monastery. Amazing unhid community work... God bless your influence! Reader Seraphim: Where are you getting the 2 million? 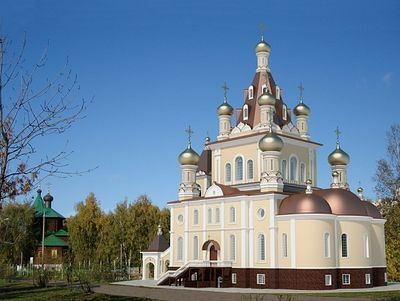 Also, don't you think it's rather silly to think that people in Russia would go to all the trouble and expense to built churches that no one will attend? And in some distant, provincial areas, 25 people would be a good size parish. Are you saying that those villages should simply do without a church just because there are only 25 parishioners? If 2 million people actually go to 80,000 churches on a regular basis that means 25 people per church including the clergy and that's not a viable parish situation.